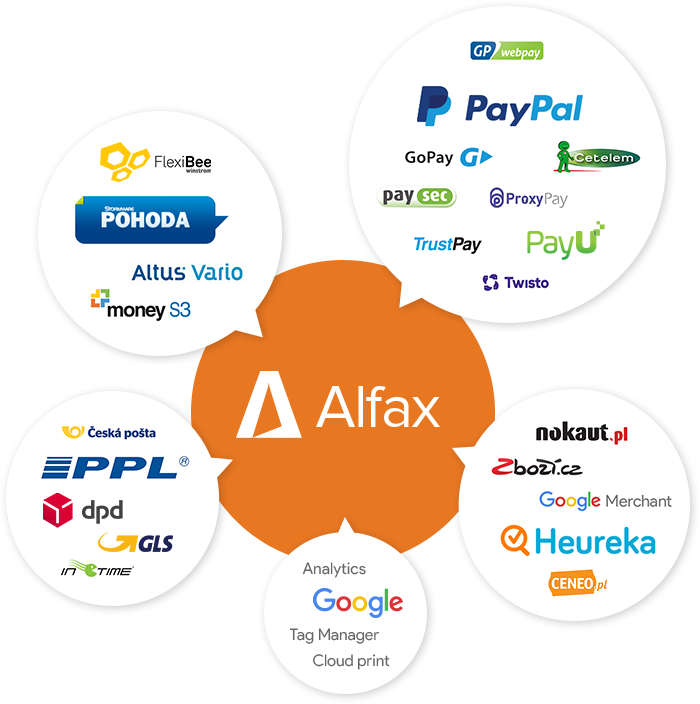 Alfax is an alfa among the e-commerce platforms. It is indispensable for all the e-shops created by us. 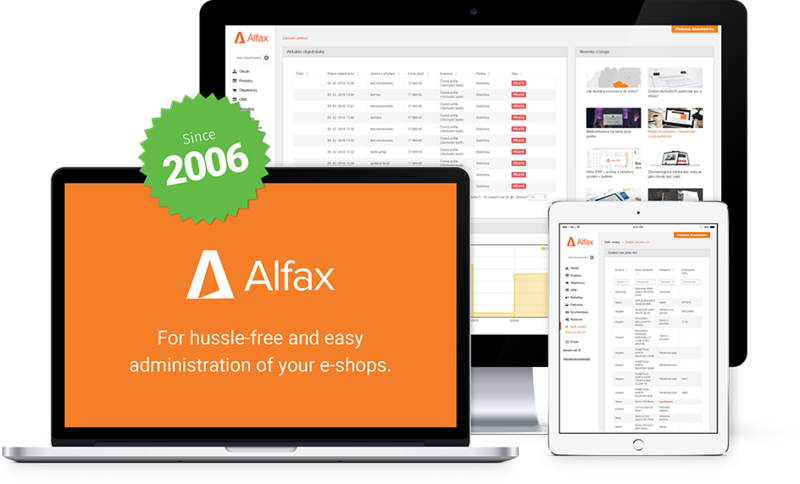 Alfax is here to make your work with an e-shop pleasant, hussle-free and easy. Be brave enough to expand to Europe! We go with you every step of the way. Every country gets its own e­shop manageable from one single central system. 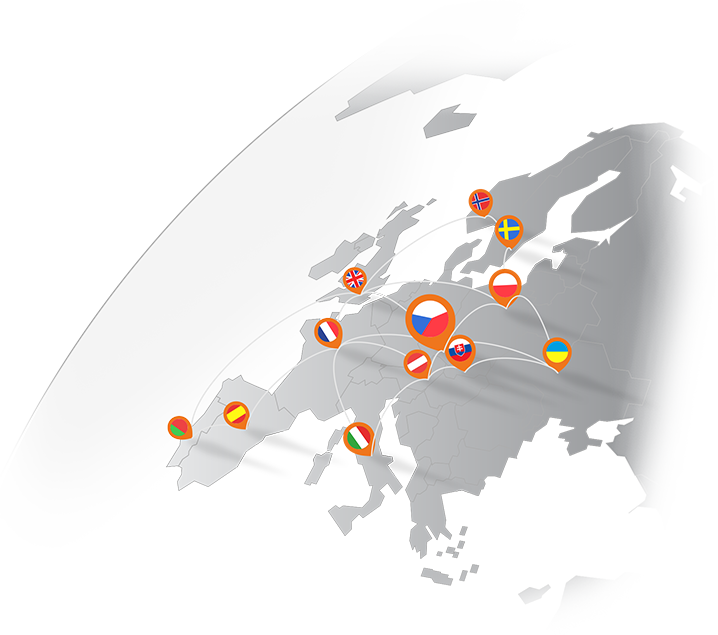 Multiple e­shop mutations tailored for each of the European markets are connected via Alfax. Thanks to this balance of integration and specificity, you can create marketing processes specific to the needs of individual countries, customs and holidays. Translations is a matter-of-course. Warehouse + checkout + e­shop = Alfax.ERP. With this app, you are able to connect the POS with both a warehouse system and a printer. 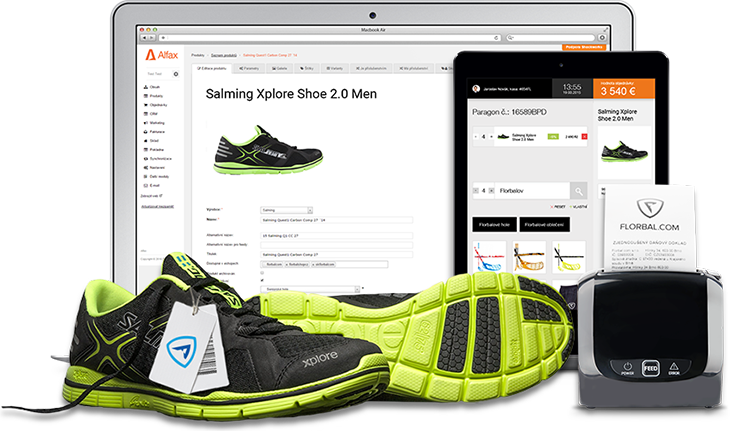 Alfax.ERP lets you set the purchase cycle from browsing through the sortiment, setting the discount to printing out a chit. A part of this is also connecting to a bar code reader and optimizing for both desktops and mobile devices. We care about making your business management easier.